Newport Beach, CA (September 11, 2017) – Spinnaker Investment Group, LLC (Spinnaker), a privately owned, boutique investment company that strives to help clients realize financial independence, has surpassed $200 million in assets under management within 16 months of business. In an effort to support the needs of its growing client base, Spinnaker also announces the hiring of Nichol Bridges, the company’s Insurance Consultant. With the addition of Nichol Bridges, Spinnaker now offers insurance services to its clients. 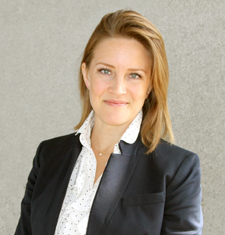 Nichol focuses on educating and assisting clients on insurance and asset production. She brings over 16 years of account and client management experience, which includes six years at the investment firm PIMCO. She is very involved in the local community and has devoted years to non-profit work with organizations such as Counterclockwise. Morgan Christen and Joseph Stapleton, who previously worked together for eight years, founded Spinnaker Investment Group in May 2016. An independent practice that does not represent a specific company, bank or Wall Street institution, Spinnaker confidently and autonomously advises clients on what they believe is the best way to achieve financial freedom. Spinnaker’s services include: Financial Planning, Wealth Planning, Retirement Planning, Asset Management, Securities and Insurance. Spinnaker serves a broad client base throughout Southern California, but also has clients across the United States. It focuses on goal-based investing, portfolio vigilance and financial independence throughout its holistic approach. The Spinnaker team includes: Morgan Christen, Chief Executive Officer and Chief Investment Officer; Joseph Stapleton, President; Andrew Krongold, Vice President; Anthony Puma, Financial Advisor; Vanessa Vigoren, Portfolio Administrator; and Nichol Bridges, Insurance Consultant. For more information about Spinnaker, visit SpinnInvest.com. Spinnaker Investment Group, LLC is a privately owned, boutique investment company that cares deeply about its clients and is committed to helping them realize financial independence. Our mission is to deliver the highest level of comprehensive wealth management service, aiming to help you achieve your financial goals and ultimately establish a safe, secure future for you and your family. The Spinnaker team can support you with financial planning, wealth planning, retirement planning, asset management, securities and insurance. For more information, visit www.SpinnInvest.com.